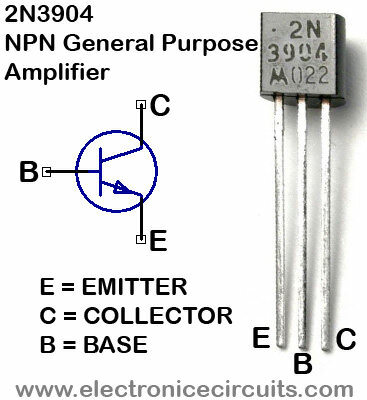 This 1-kHz linear-scale analog frequency meter circuit uses the 555 as a pulse counter. VR1 Adjust for 1kHz full scale reading. 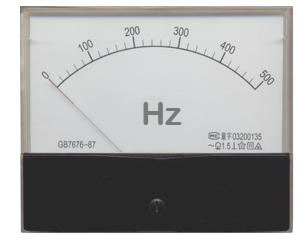 Frequency is read on M1, (or 1mA meter) which can be calibrated to read 0 to 1 kHz. can dis meter read all wave form? what is the value of c4 in this circuit? and why connect 1ma meter in this analog frequency meter circuit? 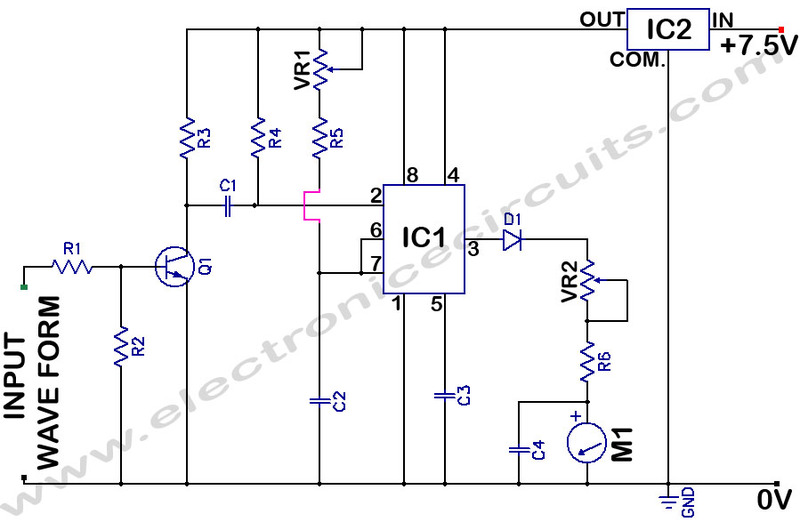 Thanks for this circuit , bat how max volts in input this circuit plezz . what is the value of c4? plz tell me if this works? ?i have a asssignment on this?? What is the value of C4, it does not show up on the parts list? 1 Pings/Trackbacks for "Analog Frequency Meter Circuit"